Thanks, Expressions Vinyl, for sponsoring today's post! Hey, y'all! Have you heard of Vinyl Palooza? 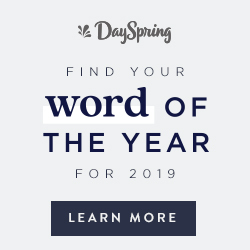 It's totally a thing, and I'm super excited about it. 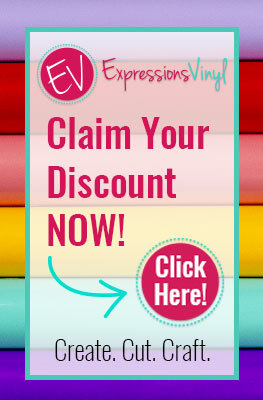 This week, twenty bloggers--myself included--are joining forces with Expressions Vinyl to bring you lots of vinyl projects to inspire you. And that's not even the best part! 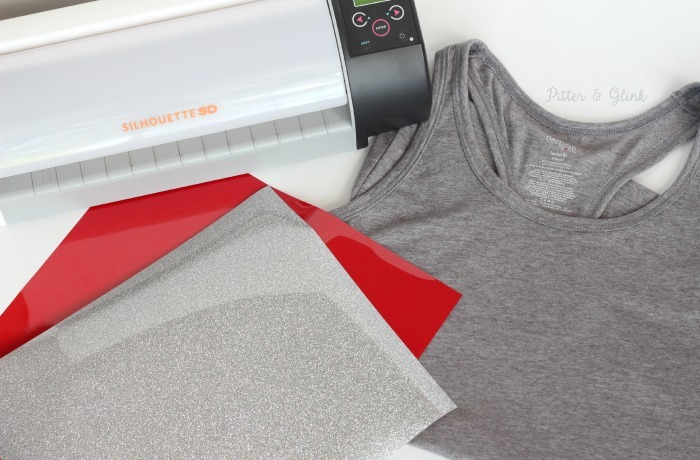 We're also giving you a chance to enter to win a $100 gift card to Expressions Vinyl and a copy of The Ultimate Silhouette Guide eBook. Stick around for the giveaway at the end of the post. But now, on to my vinyl post.... You know I love crafting, right? 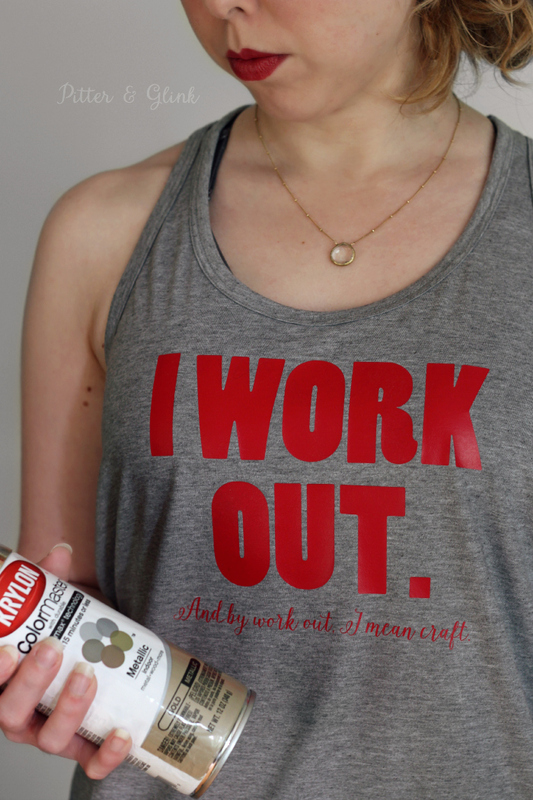 And you know I love to craft up items that show I love crafting, right? (Remember my Make Pretty Things T-Shirt and Makers Gonna Make Mug?) 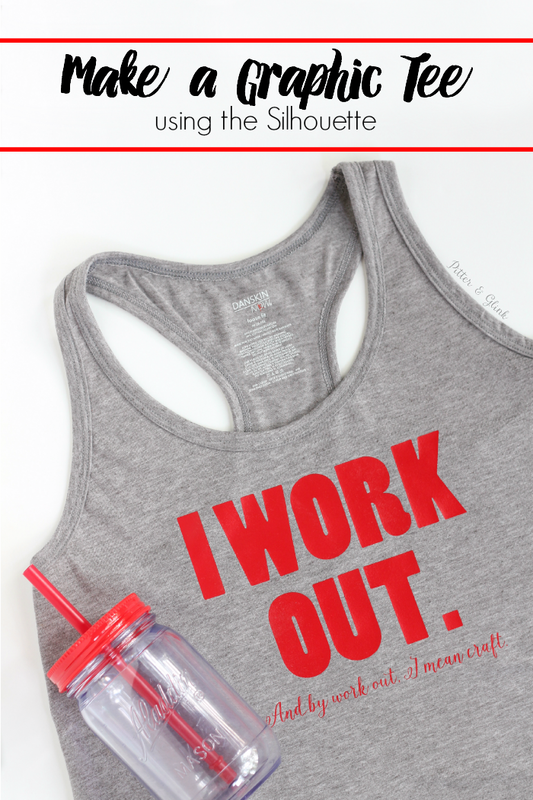 Well, yet again I have crafted up something to further display my love of crafting: my "I Work Out" Workout Tank. Confused? Take a look. 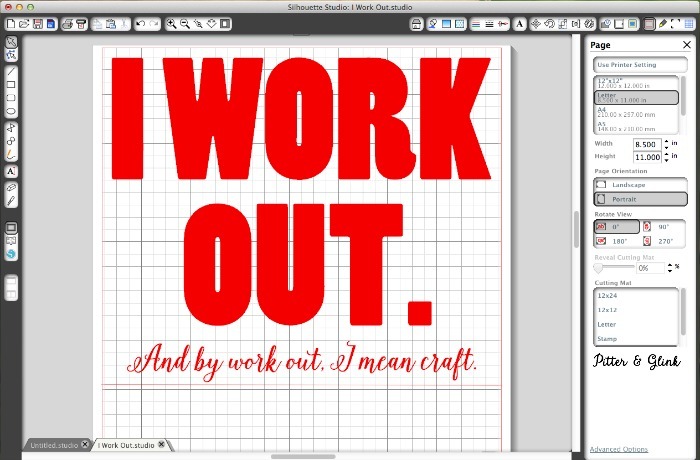 When it comes to exercising, I prefer to work up a sweat crafting. Honestly though, I barely broke a sweat making this fun tee. You can make your own too, and the best part is you need minimal supplies. 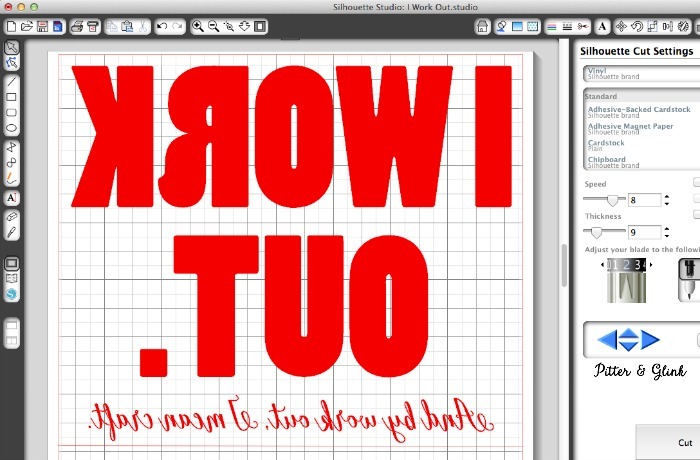 A VERY important step of creating the graphic tee is mirroring your text. 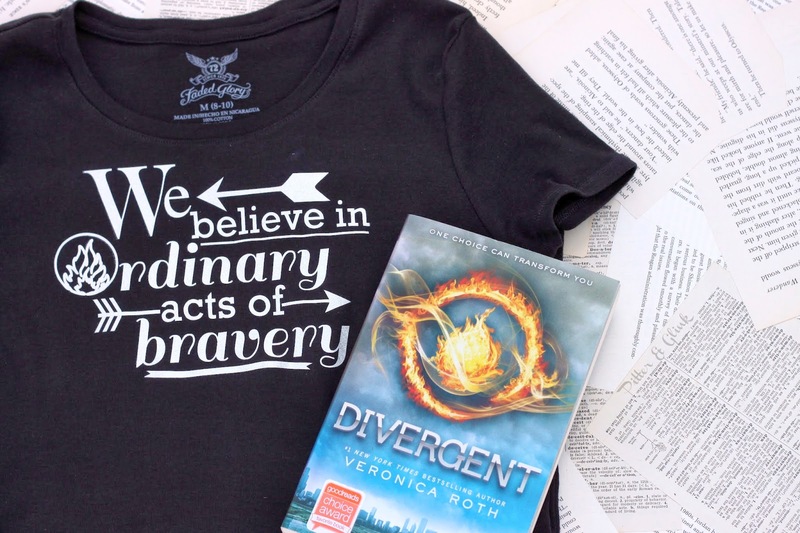 (If you don't, your t-shirt will only be readable in the mirror when you're taking a selfie.) Once your text is mirrored, it's time to cut your HTV. I used red easy weed heat transfer vinyl from Expressions Vinyl, and I used their handy Vinyl Cutting Machine Settings Chart to make sure I used the correct cut settings. As with any HTV, I cut the vinyl shiny side down. After your graphic is cut, it's time to weed. 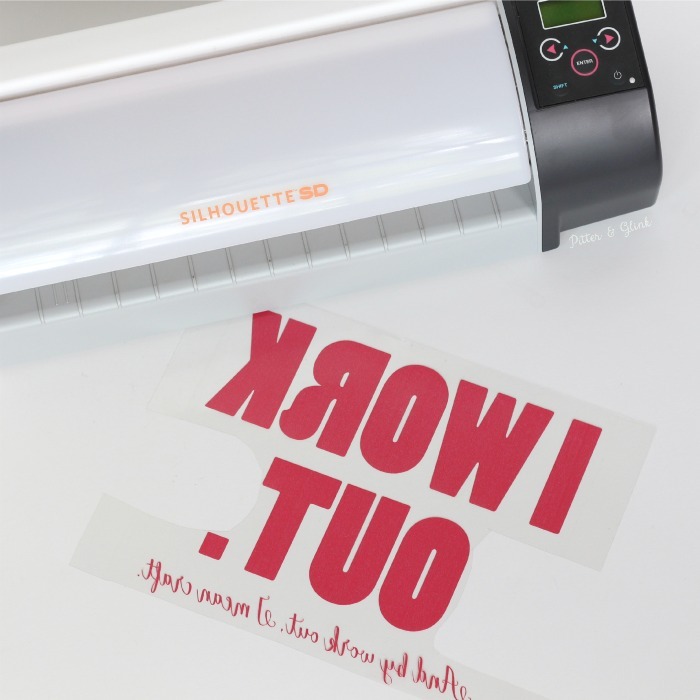 All that means is that you remove the excess heat transfer vinyl from the clear backing so that only your design is left. You can use a straight pin or even a craft knife to remove the tiny pieces. 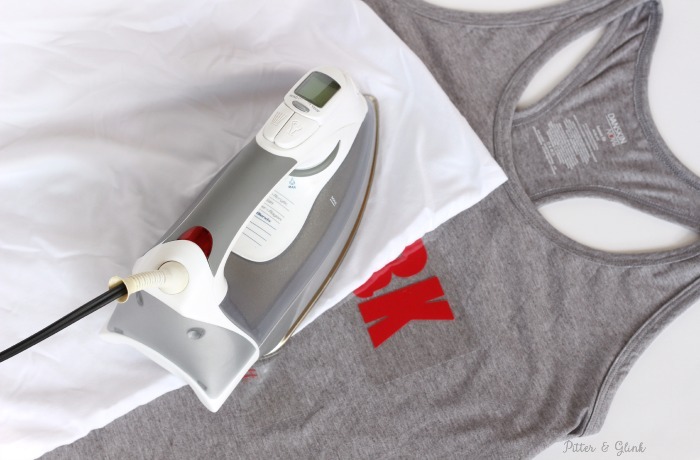 After your design is weeded, it's time to iron it onto your shirt. (It is helpful to prewash your shirt before ironing a design on it.) 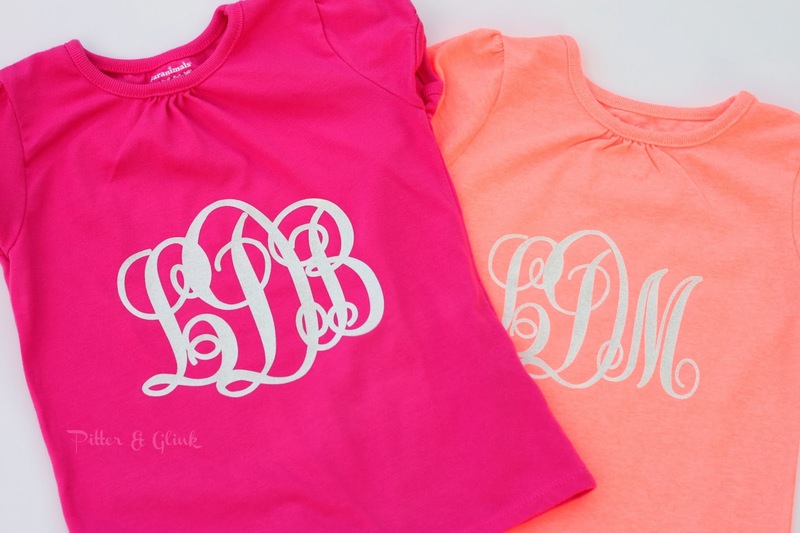 Center your graphic on your shirt. Place a thin cloth (I used a pillowcase) over your design and iron it down. I used the cotton setting on my iron, making sure the iron was on NO STEAM. I firmly pressed the iron over each section of the design for about 35 seconds, repeating until the design was adhered to the shirt. Once I could easily remove the clear plastic, I placed the thin cloth over the design and made a few more passes over it to ensure it was stuck well. 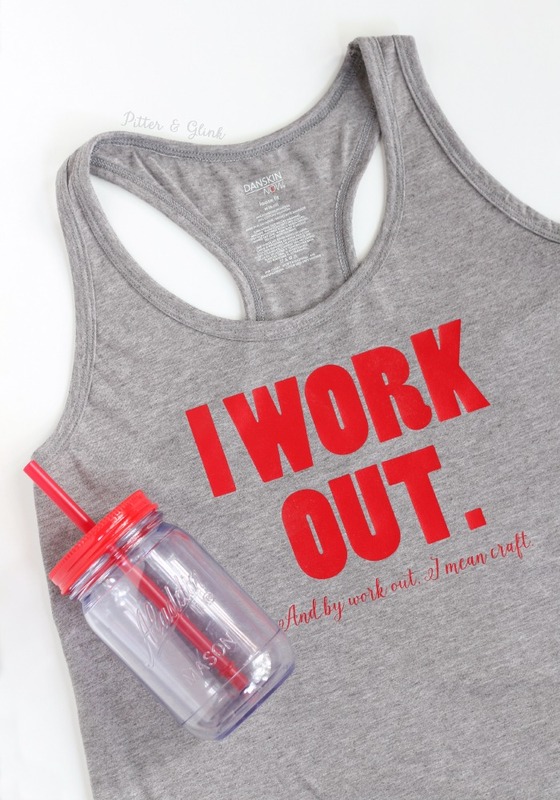 And just like that, my workout tank was complete. I think my new tank is so much fun! Love your tank--it's adorable! The red on the gray looks great, good choice! 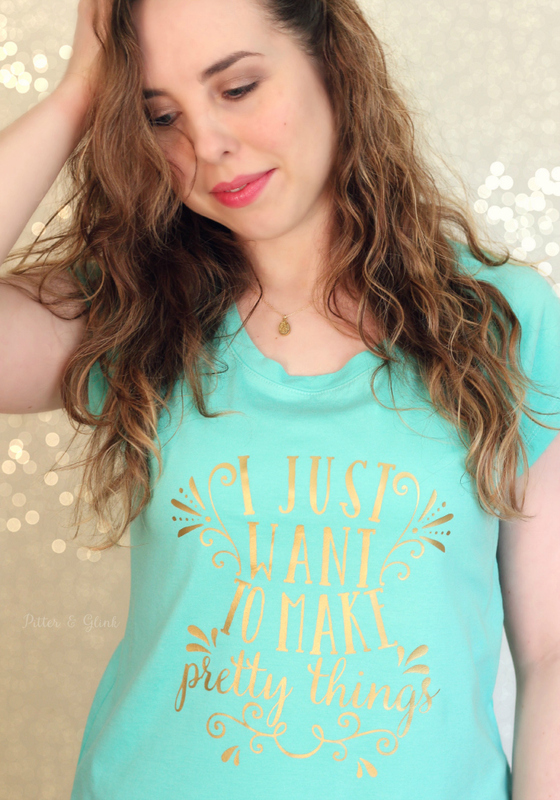 Bethany, this shirt is so cute! Goodness girl...I feel the same way about crafting, this is the only way I want to glow or sweat which ever one you want to do. LOL!